Arab Health 2018, the healthcare exhibition for medical and trade professionals began on Monday, with a focus this year on personal healthcare technology. 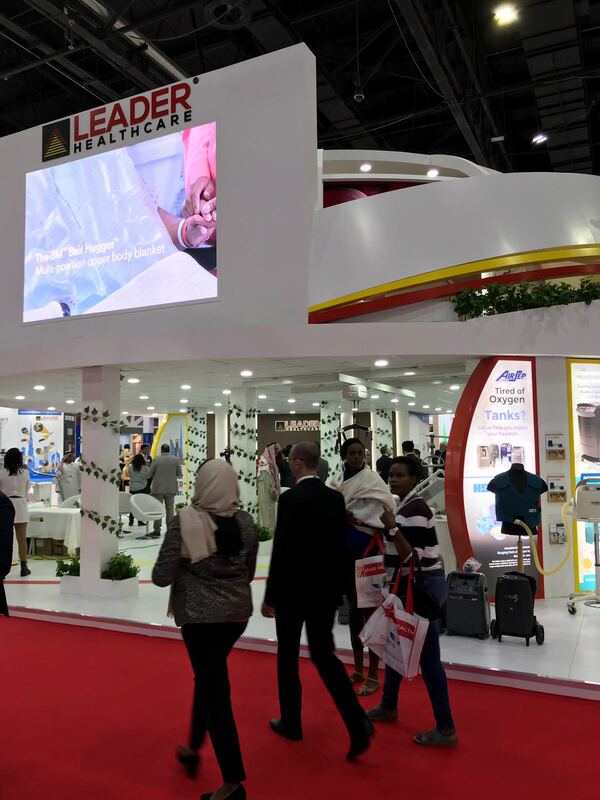 Hosting more than 4,200 exhibiting companies and 8,000 delegates from across the globe from January 29 to February 1, Arab Health 2018 is taking place at the Dubai International Convention and Exhibition Centre. The OT200 Compact Ceiling Hoist was showcased mounted on an XY System, offering full room coverage; future-proofing for any eventuality. 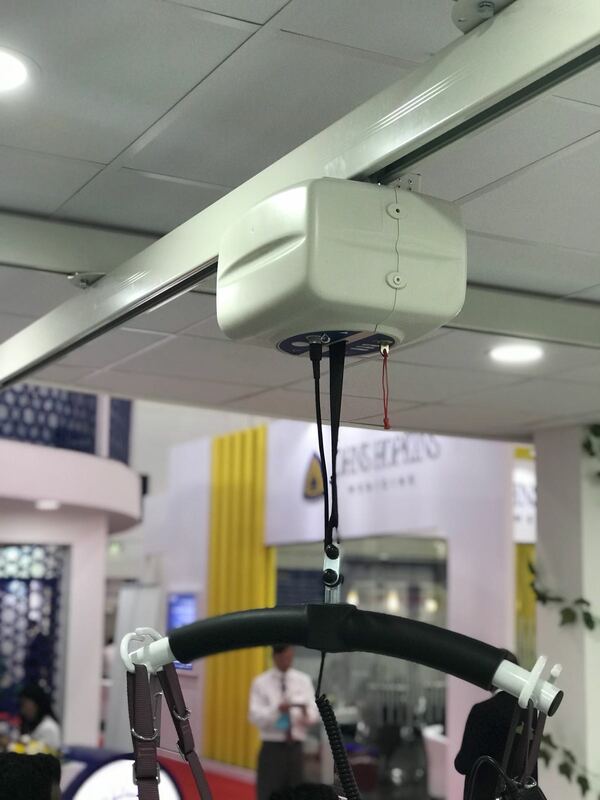 Being the smallest professional-use hoist on the market ensures the OT200 is unobtrusive and aesthetic, blending seamlessly into Hospital and domestic environments. 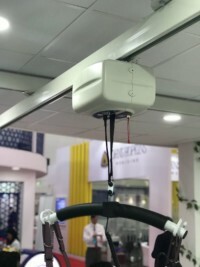 The Ceiling Mounted Track system and the OT200 Hoist were well received by the visitors and garnered a very positive response through live demonstrations of how the Hoist traverses along the track and the potential from an XY system. The four-day event was inaugurated by Sheikh Hamdan bin Rashid Al Maktoum, Deputy Ruler of Dubai and Minister of Finance and Industry. 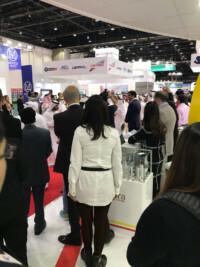 “With the demand for healthcare products and services continuing to increase within the region, the Arab Health 2018 is a must-visit exhibition for anyone associated with the industry, not only in the Middle East, but across the globe,” commented Ross Williams, exhibition director of Arab Health 2018. OpeMed offer special opportunities to dealers; if you are interested in becoming a distributor of OpeMed products either internationally or in the UK, please get in touch to find out what we can offer. 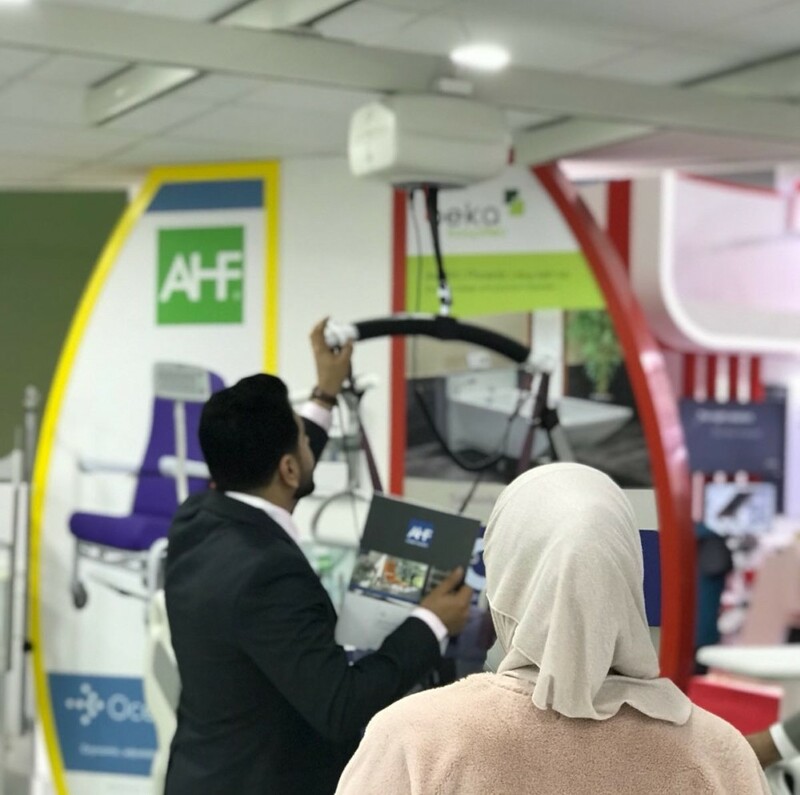 If you missed us at Arab Health 2018, we will be exhibiting at the OTAC Conference in Chester on the 7th February where we will be demonstrating our OT200 Hoist as well as our Monarch Portable Hoist and Gantry System for semi-permanent solutions and our not-to-be-missed Kiva Height Adjustable Bath in Lemon Drop Yellow! We would love to see you there – in order to book your free entry, please click here.